Stop wondering what funders are out there. What is the Grants Plus Funding Scan? The product: An immediately actionable game plan that can guide your grant seeking efforts for at least two to three years. The process: Our grant seeking experts will carefully evaluate all of the potential funding opportunities to identify the most likely grant funding prospects for your organization and initiatives. The result: You'll receive precise ask amounts, strategy suggestions, application details, and more for each prospect, as well as a quick start calendar of priority grant deadlines. 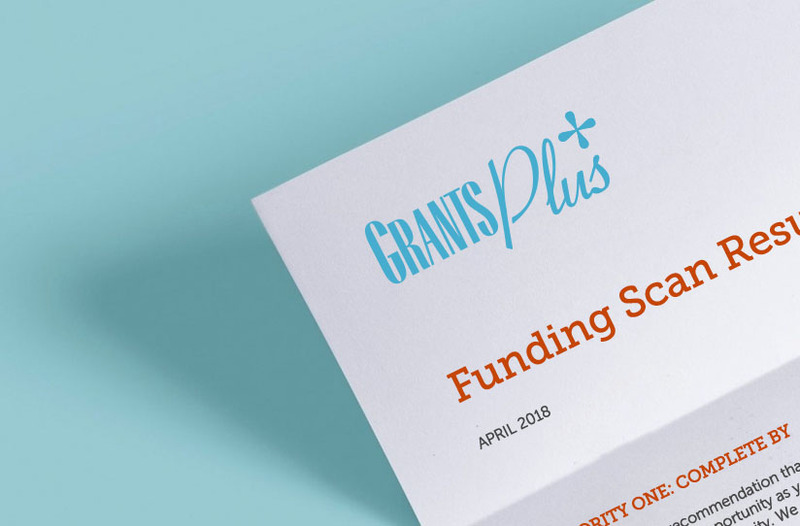 The outcome: With our expert recommendations, organizations that complete a Funding Scan can more confidently and effectively build a grants pipeline by pursuing the right funders, at the right times, for the right amounts. 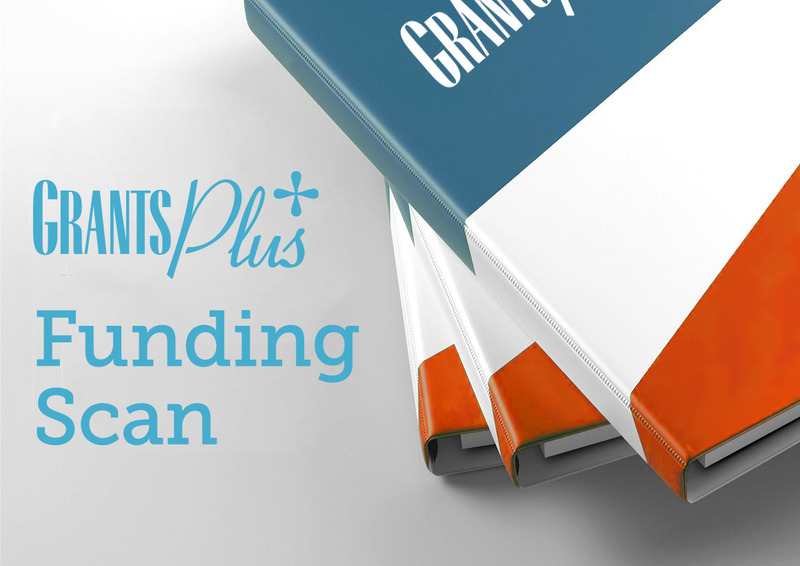 How does the Grants Plus Funding Scan work? Build a deep understanding of your needs by reviewing information about the organization, your plans and key initiatives, and funder relationship history. Advise you to prioritize your most grant-fundable needs and programs to include as focus areas in our research. The more targeted our research plan, the more useful the results. Conduct our comprehensive Funding Scan process using multiple databases and information sources. We've honed this rigorous process over a decade of experience with hundreds of organizations. Identify private, corporate, and family foundations, as well as government funders, that are the strongest match to your organization's mission, goals, and geographic footprint. Deliver insights that show you all of your potential grant funders in context. Much more than just a list, our recommendations are detailed, tailored to your organization, and ranked in order of priority. What is the timeline for a Funding Scan? Within 60 days from our initial meeting, we will share our research results, discuss our recommendations, and gather your feedback to incorporate into our final research product. Within one week of our feedback meeting, we will deliver our final actionable grants plan with detailed insights and strategy suggestions for each funder. What is included in the final product? What will you learn from our funder recommendations? We explain the rationale behind why we've identified each funder as a prospect for your organization, including mission fit, granting capacity, and other matching factors. You'll know who makes the funding decisions as well as which organizations a grant maker has funded before. We will provide a board list for each funder and a sample list of past grants. Success comes by building relationships with funders over time. You'll have a calendar of top-priority grant deadlines so you can plan which funders to pursue when. We are experts at deciphering the grant making history of funders to predict what they may fund in the future. We will determine a precise ask amount that is appropriate for each funder. We will describe in detail how we arrived at our results, so you can be confident that our research process was thorough and strategic. Ready for a Grants Plus Funding Scan? The Funding Scan has been a tremendous tool. It was enlightening to see and understand all of our funding opportunities in one place. I never could have managed to pull this all together myself. Best of all, it immediately returned its value. We acquired a new general operating funder, which are the hardest to find. This new grant alone covered our investment. I am so glad Grants Plus was able to set us up for success!